Creatime works regularly on this project since 1996. 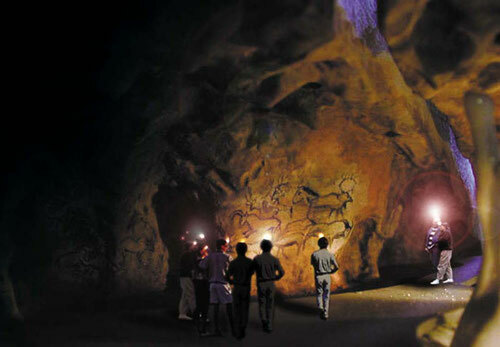 Indeed, having led the studies for the equipment of the cave with the aim of its scientific study (on 1996 - 2006), we took away in 2000 the competition of conception - realization of the restoration of the cave Chauvet. We led the studies of definition and the technical studies of the restoration actually implemented between 2002 and 2010. We handle at present the conception and the realization of the exhibition dedicated to the methodology and to the exceptional techniques which were mobilized within the framework of this project : the biggest facsimile never realized with such a degree of precision. For the chronology and the contents of studies carried out, you can consult our dedicated site.